Jouer puts out a limited edition Mother’s Day Box! Jouer has a LE Mother’s Day Box for all those wonderful mothers out there! Will you be getting one for your mom…or yourself??? Check it out here! There is a new subscription box from the makeup brand Jouer! This is a quarterly box and costs $45, now lets just stop a moment to revive the people who fainted at the $45 price tag….That IS pricey and I had reservations about shelling out the big bucks, but after seeing full spoilers on Instagram I jumped in with both feet! Jouer wasn’t a company I was very familiar with until recently, they are sold at Nordstrom, Birchbox, their website online and a few boutiques. I picked up their Moisture Matte foundation from Birchbox and fell in love with it, so this box was exciting…but $45 is a lot to spend not knowing what you’ll get. Lucky for us they put out enough early promotion boxes that the word got out! The box has a value over $100 and every product is Full Sized!! First you take a quick survey asking eye color, skin type and a few other questions to determine if you are cool or warm toned. They are sending variations of the box bases on this, but the product are all the same, just suited to your needs. Up first is the big ticket item that is worth more then the cost of the box! This is a Full Size either or product depending on your skin type, the Daily Repair Treatment Oil is for those with dry skin and the Daily Clarifying Treatment is for oily skin types. Personally, I love that they didn’t try to give everyone the same facial oil and then some people lose out on the biggest ticket item in the box. Also being an oil slick kinda gal I really like that they made a formulation that will work for me…I want to be on the face oil bandwagon too! Next is a Full Size Jouer mineral powder blush, the colors will very here too and I love that I won’t end up with a blush better suited for a cool toned gal! The early reviews are that they are very pigmented, but can be sheered or built up depending on your preference. Did you notice the odd sides of the packaging? Jouer products connect to one another, so you can make your own face case! Really cool idea!! The next products are Full Sized for the lips! Not sure how these are distributed though out the boxes, other then the colors will go along with your undertones. I’m hoping for the lip gloss, but will be happy to try out the lipstick too. This Full Sized Creme Eyeshadow Crayon comes in 5 colors on Jouers website, but I’ve only seen black in the early boxes. I would be happy to have black to use as an eye shadow base or a easy smoky eye look. 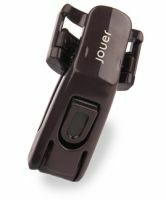 This item is a travel sized eyelash curler and I couldn’t find it for sale on the Jouer website. The design looks interesting and I love having travel sized items. While I don’t normally need to curl my lashes, I’m excited to try this out. There is also a bonus sample sized Parfume Oil being included! Over all the value on this box is at least $120! All the products are ones I’m excited to try and they fact that they are tailored to my skin type and tone is what most boxes do wrong. I mean why have me take a survey if none of that information determines the products I will receive?!?!?! Hello are you listening Glossybox, BoxyCharm and Ipsy??? This could be a nice long term relationship…. This sold out once, but is back in stock…run girls run! **UPDATED** Urban Decay gets a rewards program!